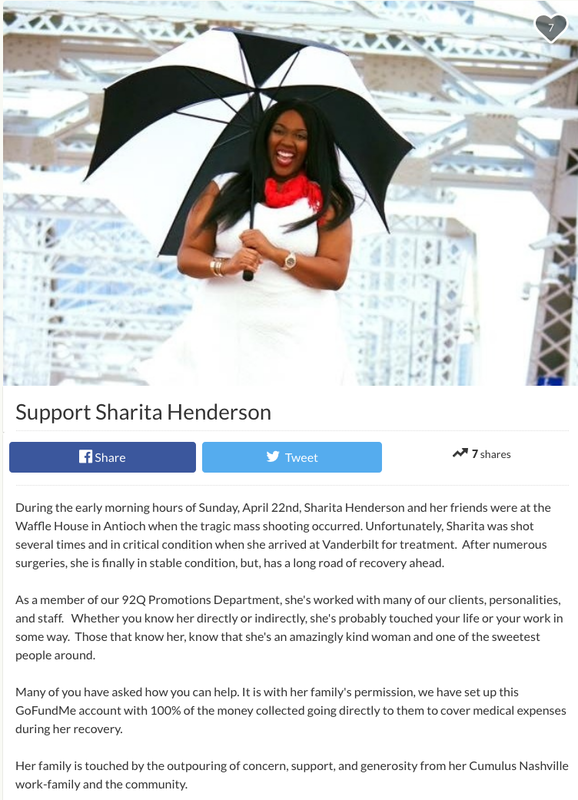 A GoFundMe page has been created for Sharita Henderson, who was shot multiple times at a Waffle House in Antioch, Tenn., on April 22 after a lone gunman opened fire, killing four people and injuring several others. Sharita was taken to Vanderbilt Medical Center in critical condition and underwent multiple surgeries. Currently, she is in stable condition. 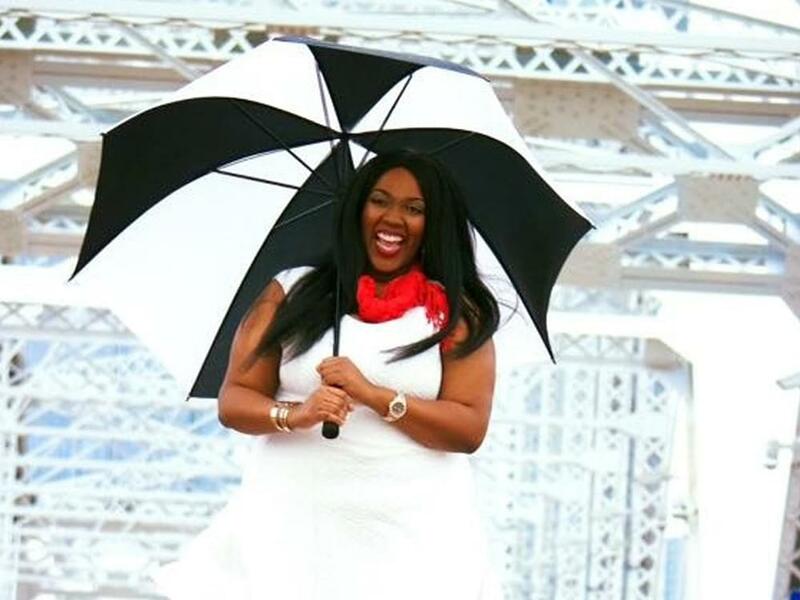 Sharita is a member of the promotions department at WQQK (92-Q), which is the sister station of WKDF (103.3 Nash FM) and WSM (Nash Icon 95.5). All of the stations are owned by Nash Country Daily’s parent company, Cumulus Media, which broadcasts shows such as Ty, Kelly & Chuck, Nash Nights Live and American Country Countdown With Kix Brooks. Click on the image below to donate to Sharita’s GoFundMe account. NCD is wishing Sharita a speedy recovery.